Dexter Daily: Showrunner Scott Buck Dishes on Dexter's Final Season: "We'll See An Even Darker Side to Deb"
Showrunner Scott Buck Dishes on Dexter's Final Season: "We'll See An Even Darker Side to Deb"
via EW: When Scott Buck is ready to talk, you better be prepared. 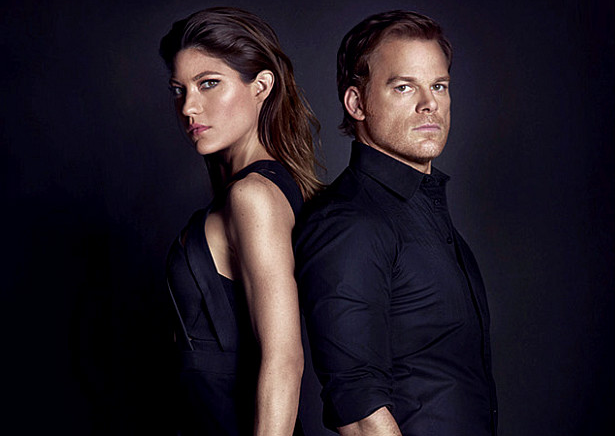 The Dexter showrunner’s answers tend to be rapid-fire direct, the interview equivalent of speed dating. When EW met in his Hollywood office two months ago, the writer-producer was perhaps even more urgent than usual. Dexter‘s final season is debuting in the summer for the first time, which has the creative team meeting earlier deadlines than usual (don’t worry, they assure the show is on track — this final storyline has been in the works for years). Skip the jump to read few season eight spoilers about Dexter, Deb, Hannah and more!